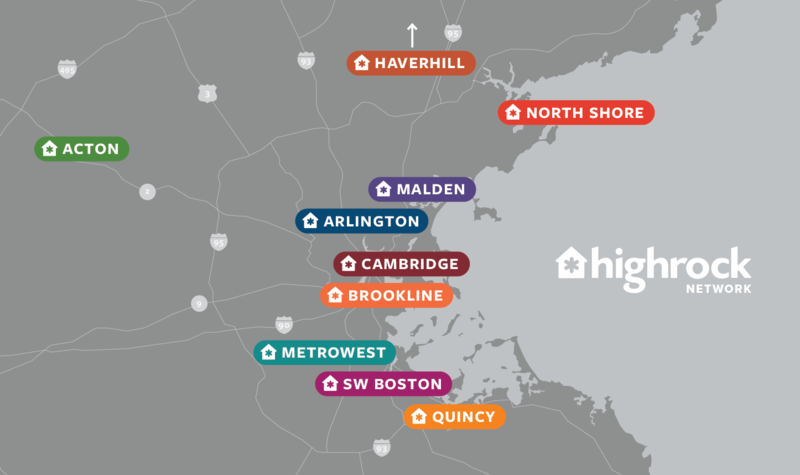 Welcome to Highrock Brookline! We would love to invite you to a service on Sunday or to any of our public events. If you’re new to Highrock, our main worship service on Sunday morning is a good place to start. Whether you're looking for a church or a place to ask questions and connect with God, we look forward to seeing you soon! Sunday service at Highrock is a place to rejoice, revive, and rest. A place for community, where we worship, serve, eat, and laugh together. A place where messy and broken people come to encounter a loving God who desires to heal and transform. A place where we find strength in following Christ. We meet in the Montague Chapel at Temple Ohabei Shalom in Brookline, MA. Most Sundays we gather downstairs immediately after the service to eat together as a community. All are welcome to come and eat! Kidsrock, our children's ministry, is available for 1- to 18-year-olds. Our small groups (with the exception of Toddlers) begin at 9:25am (check-in at 9:15am), before the start of service. We welcome all families and parents to enjoy the time from 9:25am until the start of service at 10:15am to enjoy a short stroll, mingle with other parents & families, go to the 9:30am prayer meeting, serve in a ministry, or run an errand. Questions? Reach out to our Children's Director, Phyllis Myung, at phyllis@highrockbrookline.org. Babyrock is for our youngest Highrockers on Sunday mornings. There is a room near the sanctuary with audio that is available for families, if needed. We welcome all babies into the worship service! Our youngest small group meets after passing of the peace. Toddlers (1-3 years) will have a Bible story, a fun craft, free playtime, songs, and a small snack. We ask parents to do any needed diaper changes and we will make sure to either text you or find you during worship, if needed. We have exciting, kid-targeted programs from preschool through 5th grade. Small groups are open for drop-off at 9:15am and begin at 9:25am. After Small Group, there is praise and large group time followed by Kidsrock at Play, when kids create, play, volunteer, and build relationships with one another. Parents and guardians may pick up their children immediately following service. Each Sunday, our pre-teens and teens gather together at 9:25am for Small Group. During the first and last Sundays of each month, we encourage them to attend worship service with their small group leaders so they can connect with the whole church. Some of the pre-teens and teens also have the option to serve in various areas of the church like our children’s, worship, welcoming, and hospitality ministries. If you're using navigation or viewing online maps, use this address: 1187 Beacon St., Brookline, MA 02446. This will lead you to the main entrance of the Montague Chapel at Temple Ohabei Shalom for Sunday service and Kidsrock check-in. For ramp accessibility, use the Marshall Street entrance. Free street parking is available in Brookline along Beacon Street. Additional parking can be found on Marshall Street. If you are coming by "T," the Kent Street stop of the Green Line's "C" train drops off right in front of the Temple. You can also walk from the Longwood stop on the "D" line or from BU Central on the "B" line. The main entrance is on Beacon Street. If you need ramp access (wheelchairs, strollers, etc.) you can access the sanctuary via the side entrance on Marshall Street. There is a call-button to buzz and someone will open the door for you!